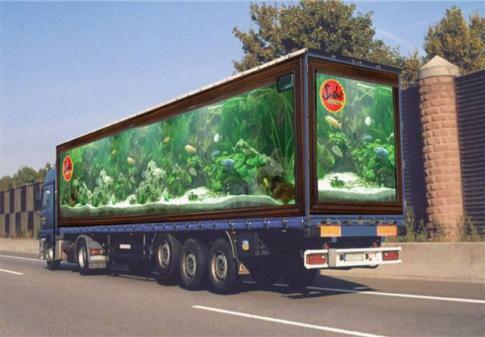 Another photographic manipulation from Pat McNulty, this time the rear end of the truck has been replaced with the contents of a giant aquarium. y don't much ppl look at the truck ones?? or at least comment... they are kewl! they should make one of me! this is amazing and cool! wow its just a cover!!!!! It's fake because it's painted, DUH!